Lowestoft North, Suffolk on the Norfolk and Suffolk Joint Lowestoft to Yarmouth South Town line which closed on 4th May 1970. The view is facing Lowestoft with Yarmouth Road over bridge in the background, bridge number 2424. Above the station name board can be seen the remote station house on the corner of Station Road which still survives today. 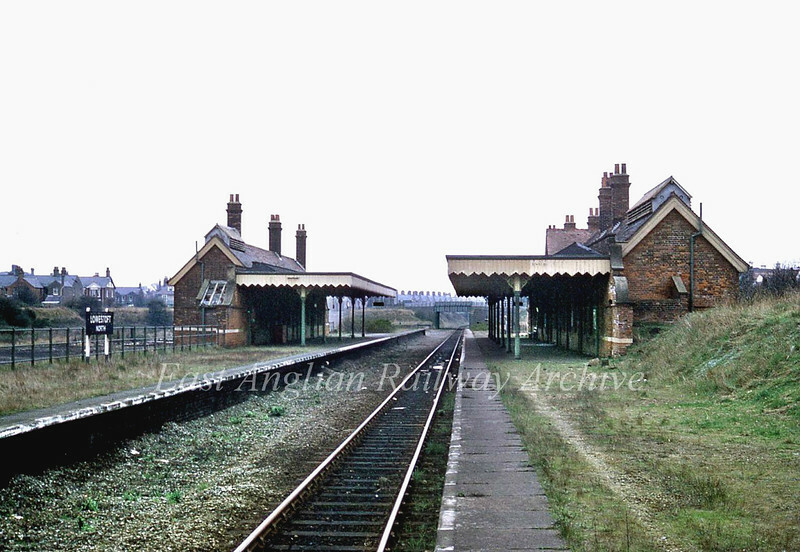 Image dated c1970 just before the line closed. Houses now occupy the site. With kind permission of Ian Baker.